Alpert & Alpert is a non-ferrous scrap metal processor. 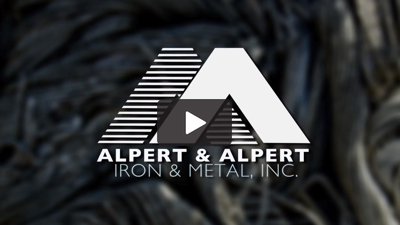 Founded in 1930 by brothers Herman and Mandel Alpert, Alpert & Alpert Iron & Metal, Inc. has grown through 3 generations of the Alpert family to become a leading international non-ferrous scrap metal processor, recycler, and trader. The scrap metal industry itself began as many small family businesses. Through their early days as scrap collectors and peddlers working across the country, the Alpert brothers recognized that the close-knit industry was built on relationships and trust. Those values have remained important to Alpert & Alpert’s business throughout the decades. We invite you to meet our family and our business through our detailed history, our products and services, and our people.